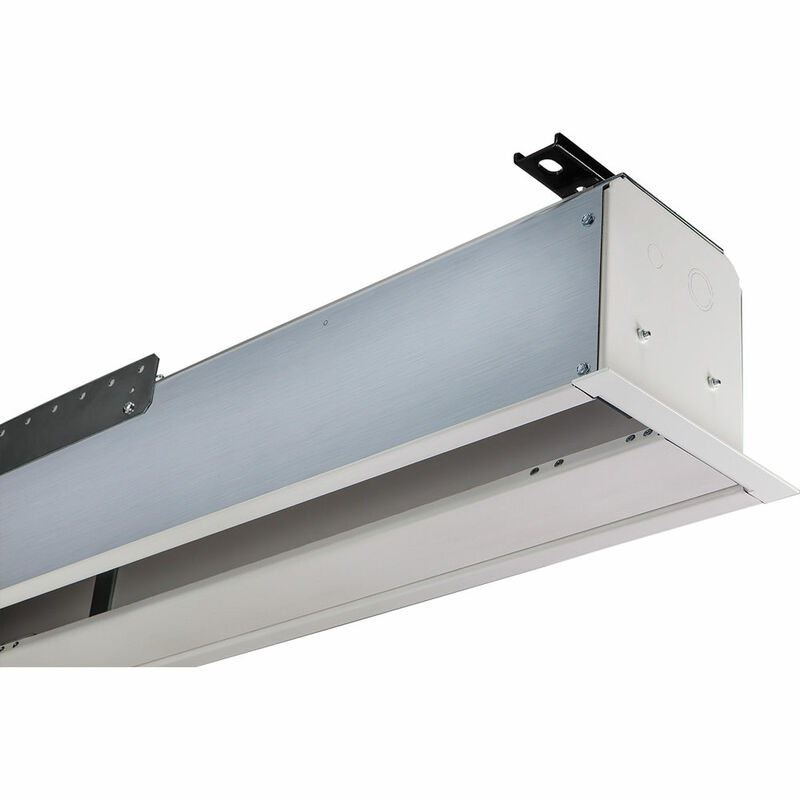 The white 197049EG Access FIT/Series M AR 78 x 104" Ceiling-Recessed Manual Screen from Draper features a housing that is less than 6" tall for space-restricted installations. The Access FIT series utilizes the same components as larger Access screens, but in a smaller footprint. The screen features spring-roller operation.